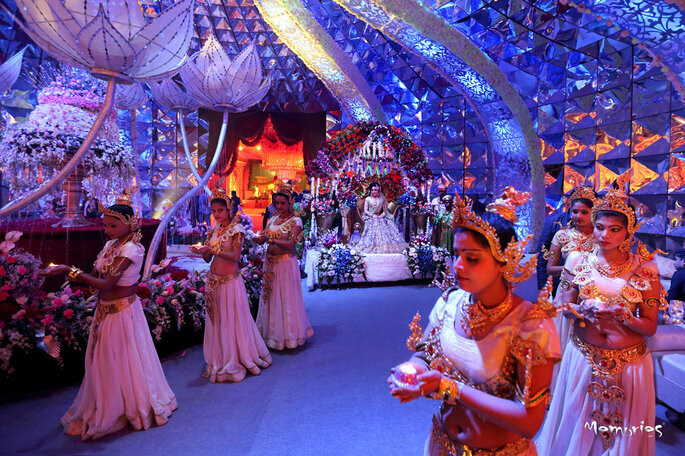 The Indian grooms get to have an entertaining wedding venue entry always. 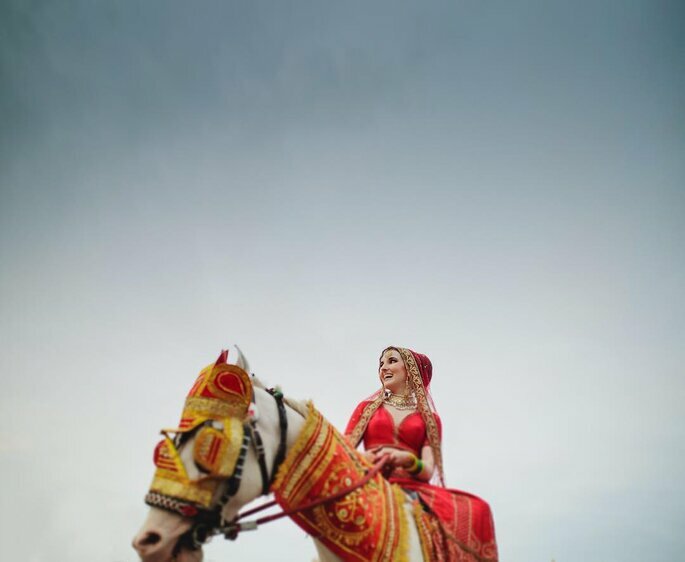 But the present-day brides are quite revolutionary, and it is not surprising that they have established their own concept of “new-age bridal entry”. No, we are not talking about entering with “Phoolo ki Chaddar” or in a “Paalki”, though we do love the simplicity of it. 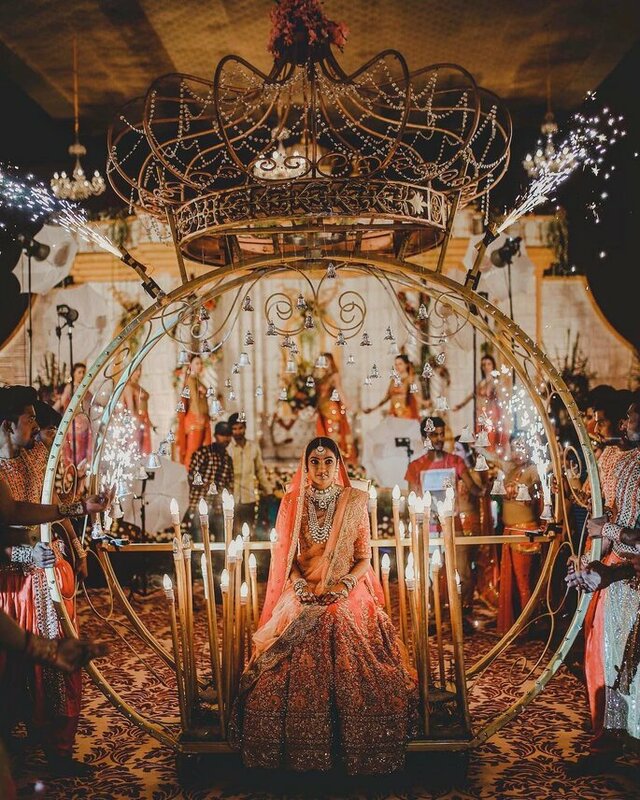 We are talking about dramatic entries where brides are heroically welcoming the new chapter of their life. Below are some of the most exciting and fresh takes on bridal entries. Just for your inspiration! 1. Because prince charming on a white horse is too mainstream. Now it’s time for the enchanting princess! 2. 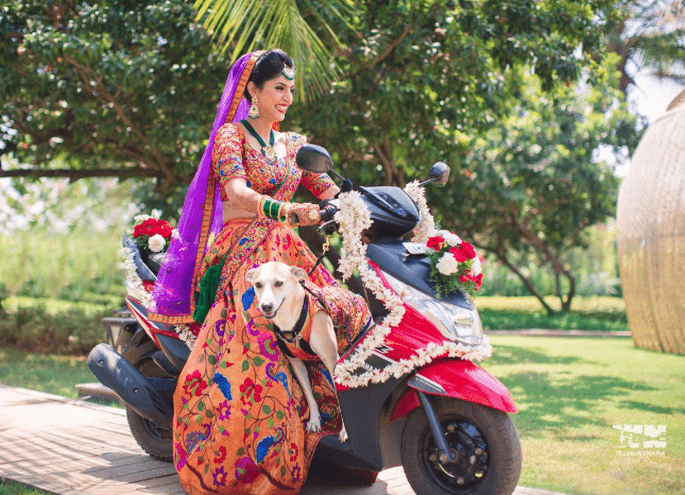 What we need is a fun bridal entry on a decked up scooty with our furry friend. Paawwdorable! 3. 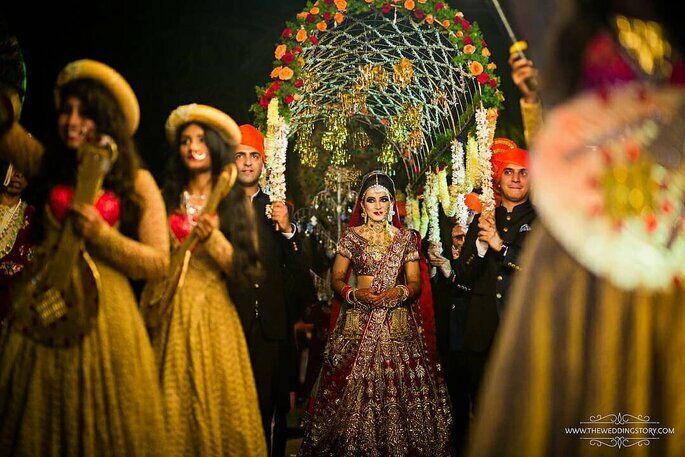 A royal Bollywood-esque bridal entry with all your mastaanis by your side. So yes! 4. 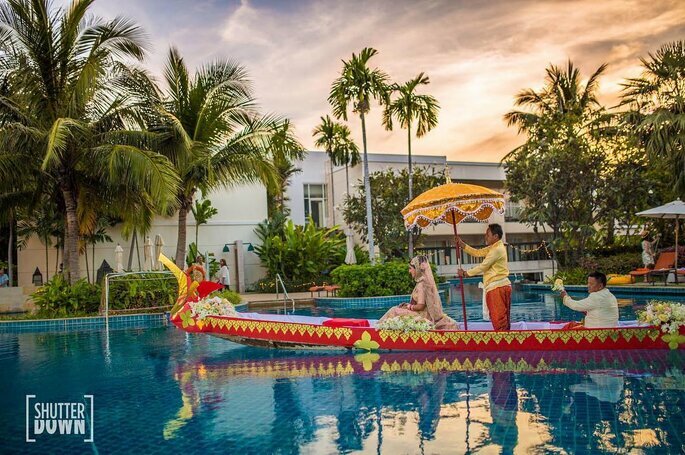 This bride’s entrance at the wedding on a shikara encompassed by dark blue water and palm trees appears as though one magnificent painting. 5. 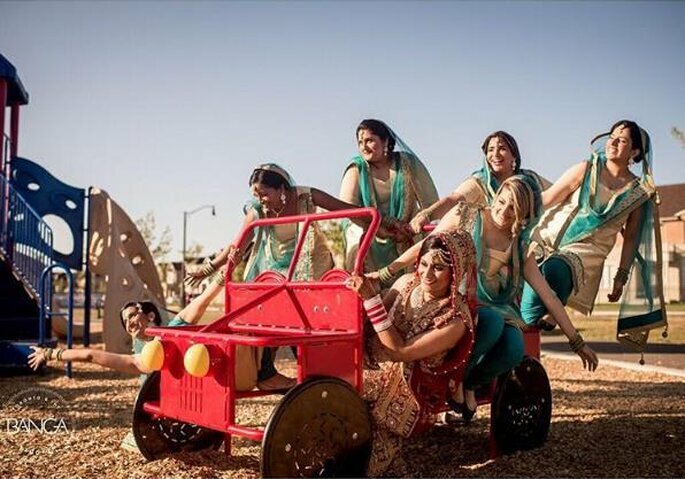 How about a real thrilling entrance with your bridesmaids on an actual glitzy toy car or truck? 6. Who wants a Paalki when we have a grandeur and illuminated carriage with side cold pyros! 7. Hold your breath because desi queen Victoria is arriving like a true majesty on her resplendent chariot. 8. 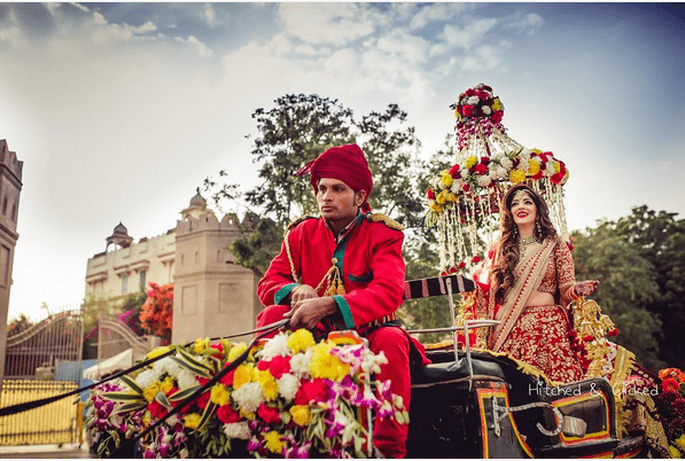 An entourage of exotic dancers when you’re sitting in your breathtaking floral carriage is a glorious entry for your wedding. 9. 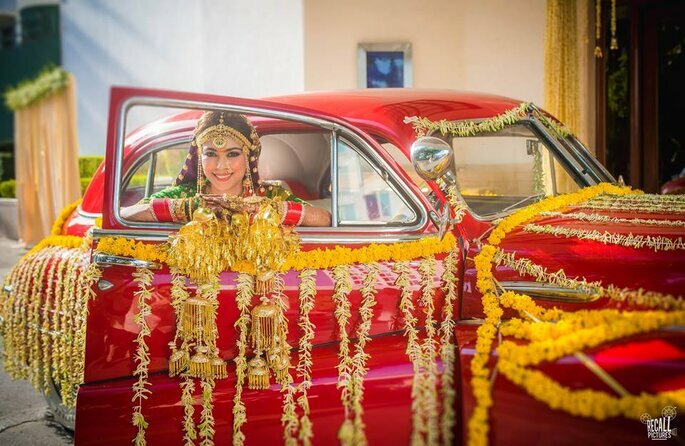 Arriving in your shiny decorated red ambassador is effortless yet an exciting idea for a bridal entry. 10. 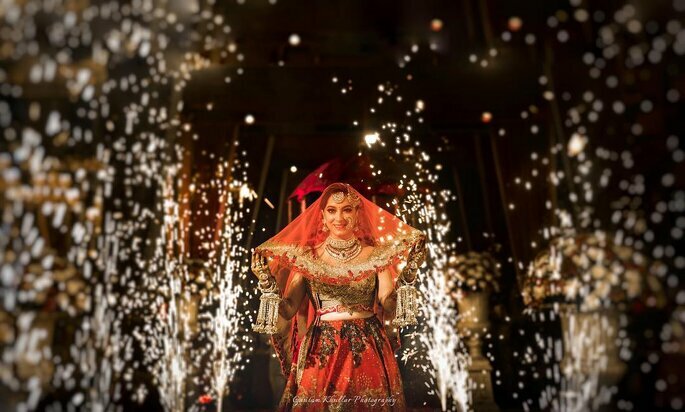 Cold pyros can be used as side decor elements while you make a grand diva-esque entrance to hold your groom spellbound.